This project was at a beautiful detached Edwardian house in trendy Bexley, Kent a stones throw from our yard. The family had football mad children and as a result the lawn of their well planned garden wasn’t looking great. 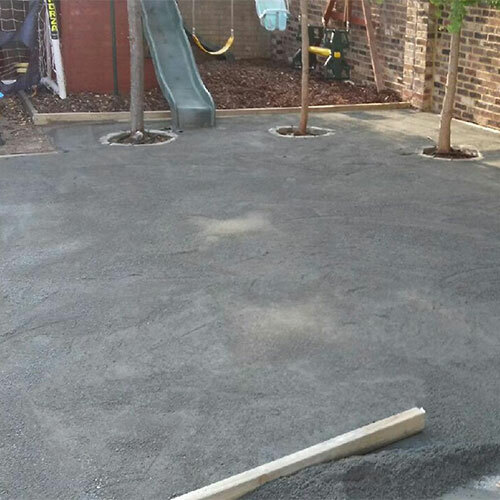 They approached us asking for a suitable surface for footballing kids that would withstand the rigours of their play. 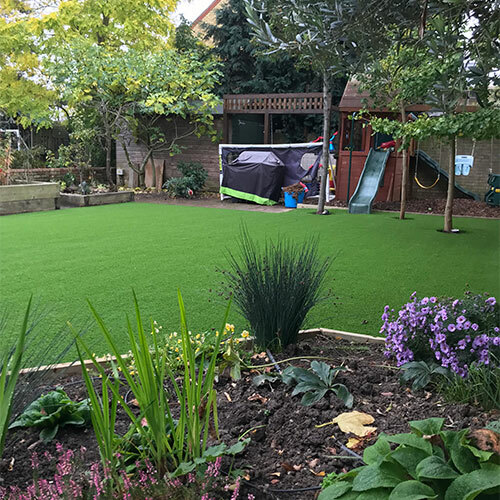 We put 2 teams on this project consisting of 4 installers as we could not get our digger in and so had to dig the lawn out manually using a turf lifter. 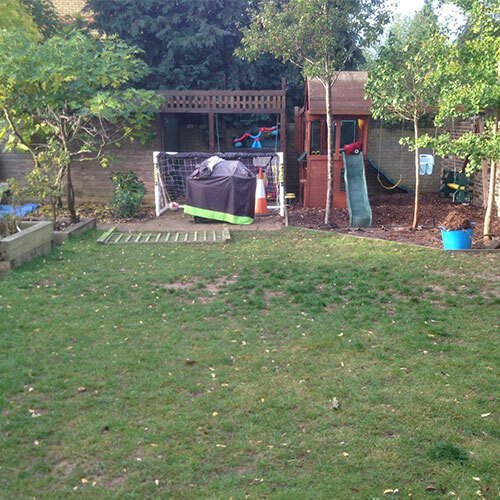 We removed nearly 8 tonnes of turf and top soil before inputting our usual high end of groundworks. We made some small changes to the shape of the garden by putting circular edges around the trees so they can still grow without causing an issue with the fitted end product. 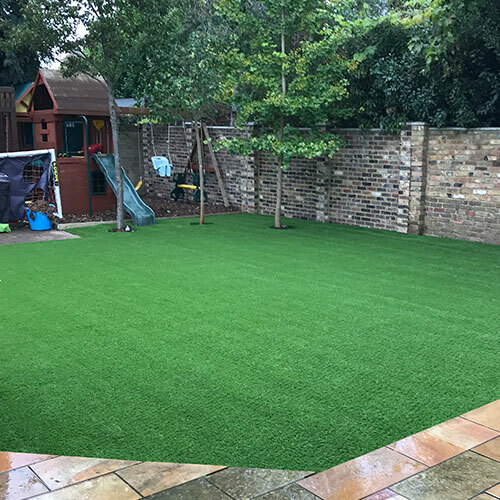 We fitted the Rectory grass which is a fantastic looking grass and also an ideal surface for football to be played on.